We want your used cooking oil! Triangle Biofuels Industries collects thousands of gallons of used cooking oil every year and turn it into biodiesel, a renewable fuel that burns cleaner than petroleum. For a 1 year contract, we provide a FREE collection bin and will service your account on a regular schedule or within 48 hours of notifying us for pickup. We collect all types of cooking oil, as long it is liquid form and contains only reasonable amounts of food solids or water. Sorry, but we do not take trap grease. In most cases, we can arrange for trap grease removal by one of our strategic partners. Many companies claim to recycle your oil into fuel, but usually it ends up in animal feed or is exported. Recycle it into fuel instead with Triangle Biofuels! 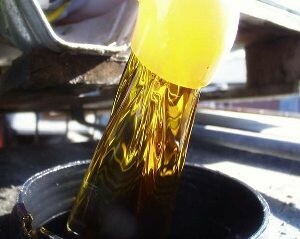 Biodiesel is all we do. Please use the form below to request new service for used cooking oil collection. We will contact you to discuss our service agreement and price per gallon for used cooking oil once we start collecting from you. We can even help get you out of your existing service contract if you need help!